If you a residential or commercial building, you cannot go wrong by using metal roofing. A metal roof usually has a lot of benefits but the top reasons to use this system is they can help you save on energy consumption and their high durability. If you do not already have a metal roofing system, below are some of the benefits you can acquire by installing it. Metal roofs can help you conserve the use of energy in your residence. You can make huge savings on your annual power bill by using metal roofs compared to other roofing systems such as asphalt shingle roofs. Metal roofs trap heat. If you have one on your property, the need to use the heating system is usually minimal. If you want to achieve maximum power conservation when using metal roofs, you should also add insulation to your roofing structure. It is the responsibility of every individual to take care of the environment. After all, we only have one planet. By using metal roofing, you are usually choosing eco-friendliness. After metal roofs have outlived their lifespan, they can be recycled into other useful parts. This essentially means that with metal roofs, you can avoid filling dumps with non-biodegradable material. By using a metal roofing system, you can offer those residing in your property better protection while saving a lot of cash. If you want to make your metal roofing investment to make more sense, you should install a roofing system that has a comprehensive warranty. 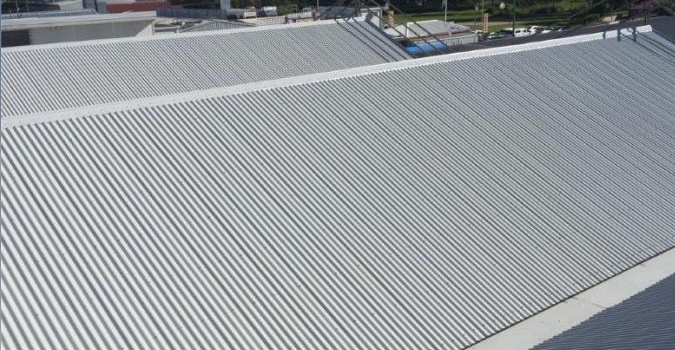 Metal roofs have a long period of durability if they are correctly maintained after installation. During times when there is severe weather such as torrential rain, heavy snow and strong winds, the occupants of your property are usually well protected. Additionally, metal roofs can withstand very unfriendly weather elements. This is unlike other roofing options available in the market. Installing a metal roof in your property is a great investment even though the installation can be a bit expensive. Roofing systems can get dilapidated over time due to exposure to weather and other climatic elements such as Ultraviolet light and extreme temperatures. Some of the common indicators of dilapidation include: cracks, splits in the roofing membrane and the loosening of fasteners. Overhauling a roof can be expensive, disruptive, time and resource consuming. Instead of going through the process of overhauling your roofing system, there are better and more attractive options. You can engage Taurus Elite’s Restoration Systems for the delivery of custom seamless roof protection. 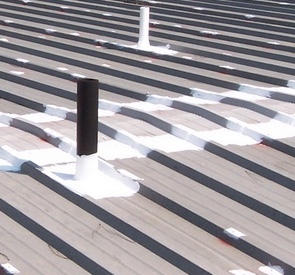 This protection can help protect your installed roofing system from extreme temperature, excess water, UV rays and other threats that occur to roofing systems. The protection from Taurus Elite’s restoration system is a great way to lengthen the lifespan of your roofing system at substantial savings. You can trust Taurus Elite Commercial Roof Systems since we have been actively working with property owners, building owners and mangers of facilities since the year 2001. Due to the expertise demonstrated when it comes to roofing issues and exemplary customer service, we have come to be known as ‘’The Roof Restoration Experts’’. When dealing with customers, we ensure that our experts are at hand to offer invaluable roofing advice so that clients can make the best-informed decisions when it comes to tackling their individual roofing needs. For each property manager and building owner, we usually offer a solution that is tailored to solve their specific needs. The high-performance restoration systems offered by our firm are a dependable investment. Further they come with extended warranties, higher durability and lower replacement costs. We are not offering a solution that has not been time tested. Our roof restoration systems have been used many times and performed to the expectations of users. Instead of spending your money on a total overhaul, why not invest and save cash by using a metal roof restoration system? For guaranteed quality services, call Armadillo Roofing & Exteriors today and acquire the best Metal Roof Restoration System. You can call and ask to see our portfolio for projects we have handled in the past in your locality. Additionally, we will also provide testimonials of past clients who were happy and satisfied with our services. Great products are only made successful by applicators. Over the years, our firm has developed a strong applicator network that is fully approved. Our training program for applicators is meant to benefit all facility managers, contractors, building owners and tenants. It helps one understand how to better protect their property. To ensure effective and quality service delivery, our firm has the best team of technicians to service clients at any given time. Roof replacement can be very disruptive. If the replacement is being done in a commercial property used by a business, the closure to allow proper roofing can lead to loss of business and time. Localized roof repair services can help you avoid taking huge losses since disruptions will be minimal. However, these repairs do not offer a permanent solution. Wouldn’t you feel better and rest easier if there was a more long-term solution available? Taurus Elite Commercial Roof Systems, 512-332-4422, provides commercial roofing services to Austin, Texas and the surrounding area, including Oak Hill. This includes commercial metal roof repair, commercial metal roof restoration, commercial metal roof replacement and commercial metal roof installation. We have been providing professional commercial roofing services to the area for over 20 years. When you need more info about metal roof restoration, give us a call.